As I summarized in my previous essay, a series of articles (“Covenant Preaching”) describe “gospel preaching” as: Christ should be “integral” to the sermon; sermons should preach the “cross and resurrection”; Christ should be the “climax” of the sermon; and Christ should be so emphasized that when people walk away from the sermon they are thinking about Christ’s work instead of their own. Calvin’s sermons were compared as well as some well-known books on preaching, only to discover that they do not promote such a narrow view of preaching. Now, what will a short review of the New Testament reveal? Is “Gospel Preaching” in the Gospels? Providentially, a recent short essay by Rick Phillips offers a helpful evaluation of this claim by examining the ministry of Christ in the book of Mark. Although not an exacting study, it is enough to show that gospel preaching (as defined by that series of articles) is misguided. The number of passages concerned with Christ revealing himself and teaching theology is about 30. The passages focused on training and reproving are about 22. The passages dealing with false teaching are about 16. There are 8 passages specifically concerned with the Good News of salvation in Christ. 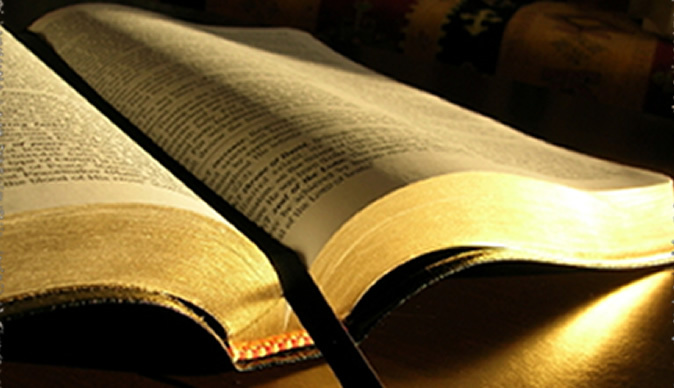 One of the most well-known sermons of the New Testament covers a multitude of topics in three chapters. It is virtually all “truth preaching.” Its main thrust is not Christ’s future cross and resurrection but the blessed life of those who live in God’s kingdom. And this sermon was preached by Christ. This is the Sermon on the Mount. It is also significant that Christ, the Pastor par excellence, claimed his central message was the Kingdom of God. And the Kingdom of God is a topic that includes a host of doctrinal truths even as its theological center is God in Christ. If anything, Christ’s ministry was purposefully theo-centric. He specified that He came to glorify God and to point the disciples to the Father. He did not magnify Himself. So, as to the assertion that so-called “gospel preaching” is faithful covenant preaching, one has to wonder how Jesus’ ministry fits into this model? Does the New Testament only present Gospel Preaching? Some salient points will demonstrate that this is not the case. But the first thing of note is that the book of Acts paints a newborn church surrounded by potential converts. It is not a picture of an established church with long-standing members. Naturally, it will focus on the first-time conversions and the Gospel message accordingly. Even so, Paul, when speaking to a Jewish audience ended his exhortation with a warning (13:40) and Stephan’s sermon ended in a similarly non-Christo-centric manner. On the other hand, Paul’s epistles are mostly directed to established churches. And, as noted in Carrick’s work, they are deeply rooted in the indicative of Christ’s work. Yet, even so, many of Paul’s epistles follow a pattern different than the one offered by the author. Generally, Paul’s epistles explained doctrine then offered application. His epistles did not all climax in the work of Christ. Nor was there a summary of the Gospel at the end of the epistles. In the logic of this article, such an ending to a sermon would be inappropriate. In fact, in the third installment of the series, the author admitted wrestling with a Pauline text since it did not end with the theme the author wanted. Is this the position a pastor should be in? Having to constantly rearrange the order of Scriptural thought to fit a preconceived notion of preaching? Is gospel preaching found in the New Testament? Most certainly, especially in evangelical sermons. But is it the only type of sermon in the New Testament? No. Not if the pattern of Christ and His Apostle’s ministry have any bearing on the question. In contrast, there are practical and theological concerns with this approach to preaching. That is the topic of the next article. I am not sure I understand; are you saying that, because Paul wrote a letter to his friend Timothy and ended with a cautionary exhortation, that therefore supports the notion that it is ok for a sermon to end that way as well? Or, since the letter written by James is not easily (at all!) comparable to a Christ centered sermon, that we have further evidence that Christ centered preaching is not as essential as some have thought it should be? Perhaps the difficulty of maintaining a Christ centered exposition arises among those who feel the need to strictly create sermons in a verse by verse manner, perhaps even a one verse one sermon approach. Of course it would be difficult and forced to make every one of those sermons Christ centered. But is that even a good way to preach in the first place? It seems a letter is a letter and a sermon is a sermon. Are we to preach the letter, or preach from the letter? isnt that a legitimate distinction to make? Can one preach Christ from any epistle, gospel, letter,etc? Of course. Can one preach Law from the same text? Yes. Isn’t it the pastors job to do both? In what context would it be appropriate to only do one without the other, apart from the restriction of ‘well I am on verse x and it is law, so there will be no gospel this week’ (or vice versa)? Isn’t that a limited understanding of expositional preaching? None of this addresses whether Ccp has historical warrant, or whether we should have strict Ccp in practice, but some of the objections to it seem weaker than others.